27th September 2016 marked a very memorable day for the state and myself. Not only the day signify a milestone with the official opening of the Murum Hydroelectric Plant (HEP), in the Belaga District, Kapit Division, but also marked a new adventure to a new place for myself. Thank you to Sarawak Energy for this precious opportunity. Located somewhere 200km from Bintulu in the uppermost part of Rajang River basin, in Belaga District. Our journey begin as early as 5.30AM from Bintulu town to catch up with the official opening ceremony which was scheduled to be at 10:30AM local time. Travel time estimated was 3 hours by land, but travelling with a bunch of lunatics & maniacs in the same van really made my day. Hail yeah ‘Media 2’ crews! Murum HEP is Sarawak Energy’s first hydropower development project under Sarawak’s Corridor Of Renewable Energy (SCORE), and its second after Batang Ai HEP was commissioned 30 years ago. It marks further success in the state’s development strategy for Sarawak to reach high income status by 2030. Any hydroelectric development has a human impact. Fortunately, in the case of Murum, the number of families affected was comparatively small and their resettlement needs has been well-researched and taken into account since the early 1990s when the first round of community consultation took place during the Feasibility Study. The seven villages in the Murum resettlement areas are now enjoy 24 hour electricity, in addition to clean water and access to telecommunication services. Care was also given to the wildlife and the environment during the construction and impoundment stages which saw Sarawak energy working with Sarawak Forestry Corporation on a WiMor or Wildlife Monitoring and Rescue Operation to relocate thousands of species of flora and fauna. Local Community Leaders had a meet and greet session with SEB’s Chairman, Datuk Amar Abdul Hamed Sepawi. The Murum HEP began its commercial operation in December 2014, and was fully commissioned in June 2016. Its timely completion contributed significantly to the decision to reduce electricity tariffs for domestic, commercial and industrial non-SCORE customers in Sarawak by the State Government in 2015. 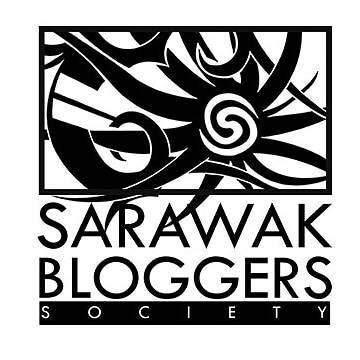 Sarawak-based customers enjoy the lowest rates in Malaysia and among the lowest in the region. The official opening ceremony of the Murum HEP began with the arrival of The Right Honourable Datuk Patinggi Tan Sri (Dr.) Haji Adenan Bin Haji Satem, Chief Minister of Sarawak and His Excellency Tun Pehin Sri Haji Abdul Taib Mahmud, The Governor of Sarawak around 12.45PM. Beside the main ceremony for the official opening of Murum HEP, the ceremony was also to commemorate and celebrate the Guinness Book of Record for Longest Weaved Mat in the world made by the people of Belaga. Four hundred weavers from Belaga and Baram successfully wove and combined a rattan mat to a length of 1128.272 meters in May this year, overtaking the previous Guinness World Record held by Sweden for the longest woven rug measuring 797.51 meters long. Memento presentation from Yangtze Three Gorges Technology & Economy Development Co. Ltd. to His Excellency The Governor of Sarawak. The best part of this opening ceremony was the visit to the Murum Dam itself. The Murum HEP consists of a main dam, a power plant of four vertical shaft Francis Turbines (4x 236MW), generators and a double circuit 275kV transmission line from Murum Power Station to Murum Junction Substation. It took a team of 2,500 people to complete the RM4.1 billion mega structure. Impoundment of the reservoir started on September 2013 and the dam is designed to have maximum power output of 944MW with an average annual energy output of 5,952GWh. We leave the Murum HEP with unforgettable memories and photos. Perhaps we will come back here again someday once this place has been further developed into an Ecotourism destination. Also, once again I would like to give big thanks to Sarawak Energy for this opportunity and precious memories. Not forgetting all media friends who have joined the journey for being the best travel companions during the trip. You guys really made my day.